Discussion in 'General Minecraft Discussion' started by BloodDisciple, Dec 23, 2011. 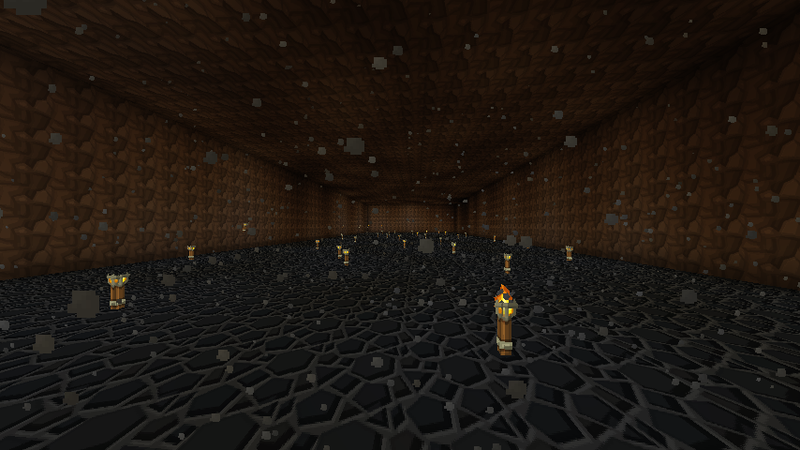 I've put about enough torches and glowstone in my basement to create daylight. When you step into the basement you can see almost wall to wall from that corner (basement dug out to bedrock). But you cannot see anything once you've walked in!!! The momen you step into the basement away from the stairs, darkness eats you. I've thought this might have something to do with luminosity and reflection off of bedrock... does bedrock absorb light? I'll be disappointed if my basement is essentially useless because of lighting. Found it - gotta love wiki! It says that a dense fog is seen at bedrock layers causing the player to have a short visibility of approximately 15 meters... so it slimes out your vision if it's not covered up. Guess that bottom floor of glowstone is gonna be necessary after all! BloodDisciple and SillyMommaMoose like this. 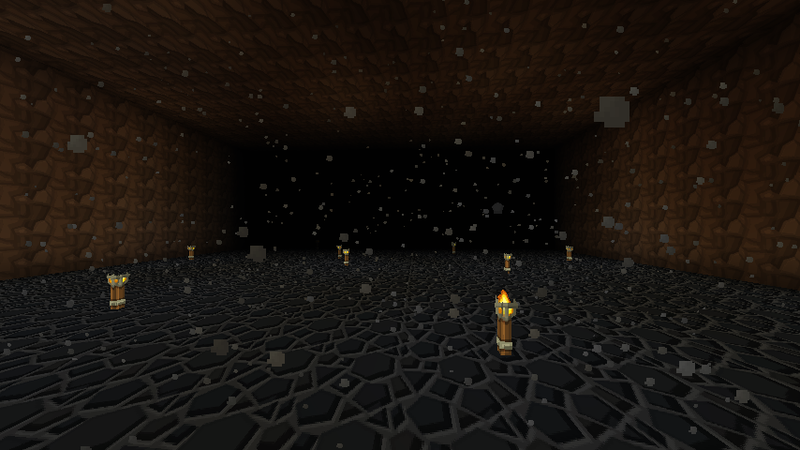 I've been in his basement, and it's quite dark and horrible due to the massive amount of bedrock. If you stand still near a wall, vision is ok, but take a step into the room and it's really like you are in a dark hell... I had to teleport back home right away so I didn't die of fear! Bedrock* gives off 'Void Fog,' added by Notch to make caves more ominous. Spoutcraft is an obvious workaround, as there is an option to turn it off when the Spoutcraft client is installed. *I realize Bedrock isn't the culprit, it is the depth you are at. Just pointing that out. The dense "fog" doesn't shorten visibility when sunlight makes its way to bedrock layer. Wonder how that would work? Worth a shot at least? I call that 'bedrock blindness'. It makes no sense to me any other way. Light simply doesn't work that way... it doesn't matter how far you are from a light source, it still emits light... but not so with this darkness. So I figure the logic of it must be that when we go near bedrock it somehow affects our vision. It's extremely silly! This is one of the several senseless things that have been added to the game and don't actually add anything to the game. Thankfully, this 'bedrock blindness' can be removed from the game if you use Spoutcraft or the Optifine mod. Note that Spoutcraft runs extremely poorly on my computer (not sure why), so I don't use it. But others have claimed that it's fantiastic. Optifine and Improved Chat with the original client does everything that I liked about Spoutcraft and runs great for me. If you already have some sun coming in and it's not killing it, then I would just go ahead and cover up the bedrock completely with a single layer of stone or something - better than having lots of holes all the way to the surface. If it's covered up it should be fine... right? you would probably need to cover it with two or three levels of material to be sure that you are blocking the bedrock effect, but I could be wrong about that.